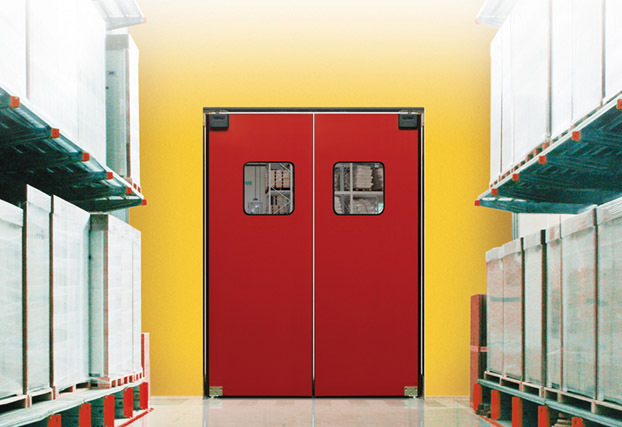 Eliason Corporation, founded 1952, is the original and only manufacturer of Easy Swing double action impact traffic doors. Eliason doors open with a light assist and close automatically with safe, gentle time delay action. They are supplied with surface mounted hardware. Easily installed and require only minimal maintenance for years of trouble-free operation. 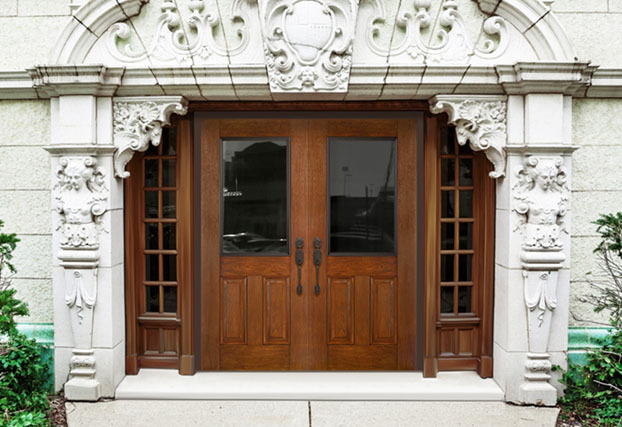 Custom built doors are available in many sizes, styles and decor options. 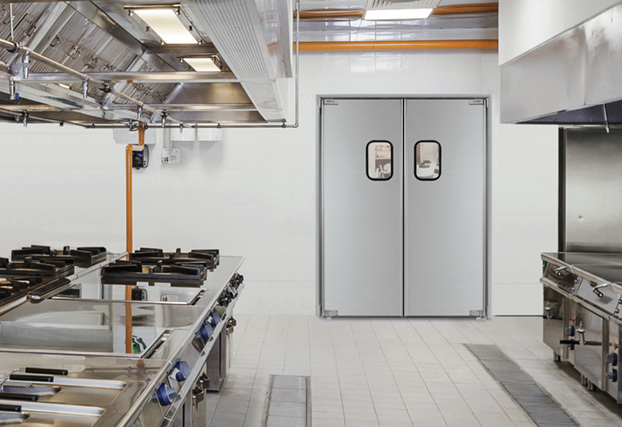 Eliason doors can be used in a multitude of applications ranging from supermarkets and department stores to restaurants and walk-in coolers. Please contact Eliason Corporation directly. Fiber-Flex™ Corrosion Resistant Door - FRP face sheets that have appearance of wood. 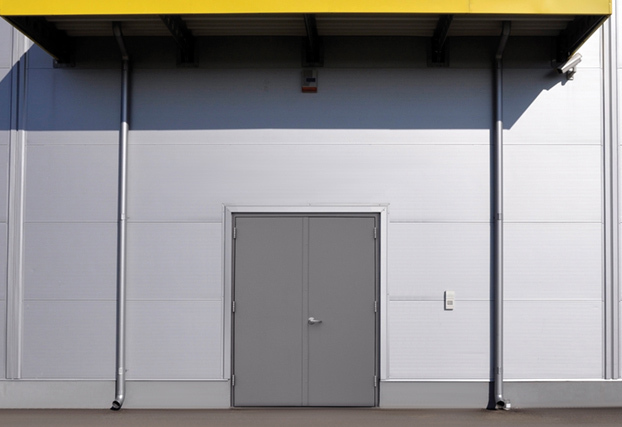 SDA-9000 Insulated Sliding Door –FRP face sheets and urethane foam core. 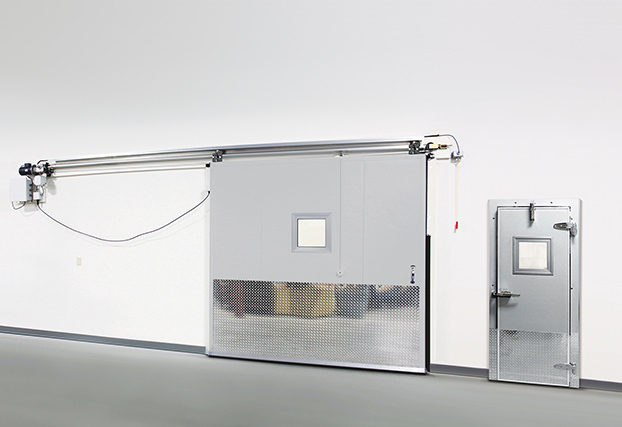 LWP-3 Aluminum Double Acting Swing Door with standard 9”x14” clear acrylic windows. 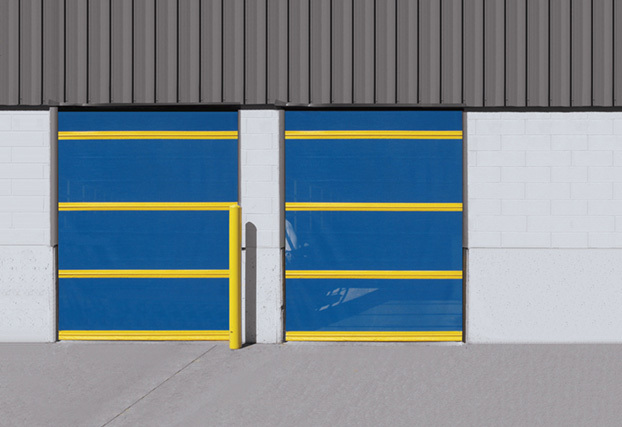 P11-Plus Traffic Door – Impact resistant ABS face sheets and scratch-resistant acrylic windows. EasyShield™ Bug Screen Door – provides ventilation and natural light with insect-free environment. 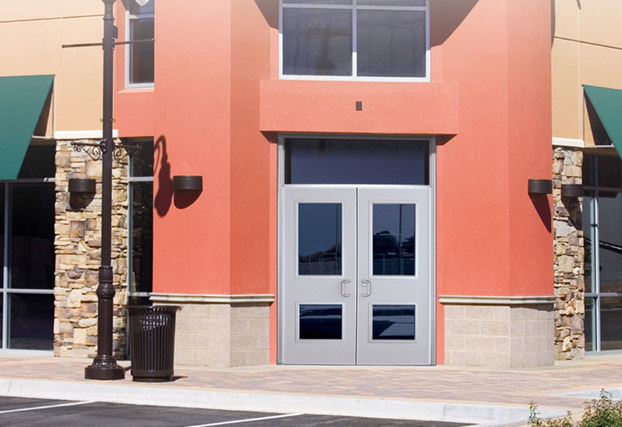 CF-9000 Corrosion Resistant Door – FRP face sheet and fire-rated mineral core. 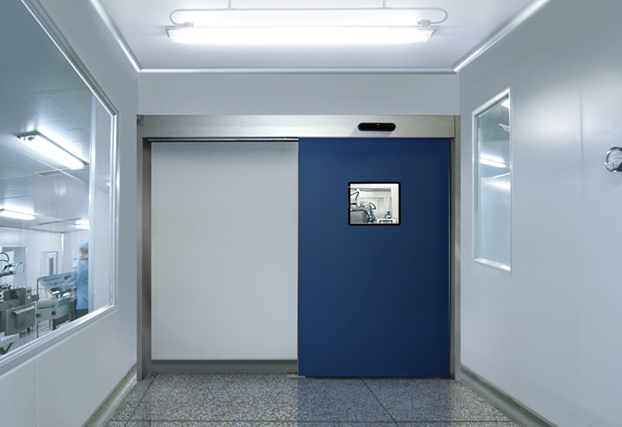 Fiber-Flex™ Aluminum Flush Panel Door – Stile and rail construction with aluminum face sheets. 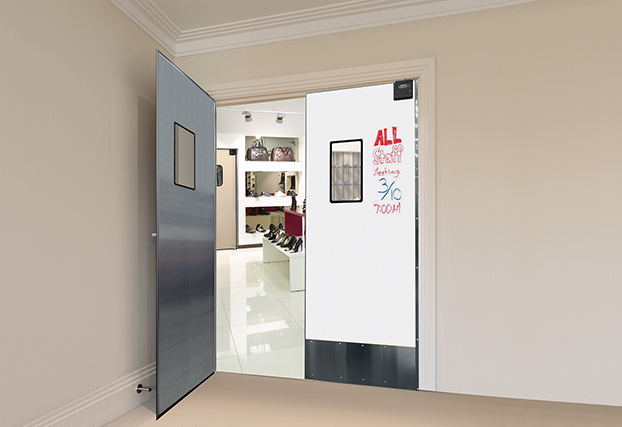 White Board HPL Door, stainless steel on opposite side, Hidden Hardware. 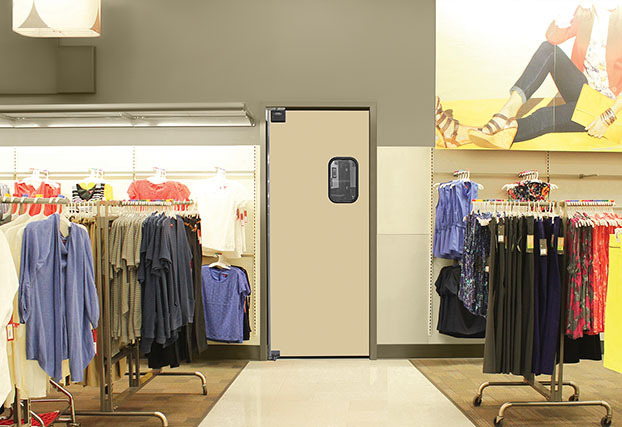 PE-500 HDPE impact traffic door in retail application – USDA accepted high-density polyethylene. Cold Storage Sliding Freezer Door and Swinging Cooler Door. 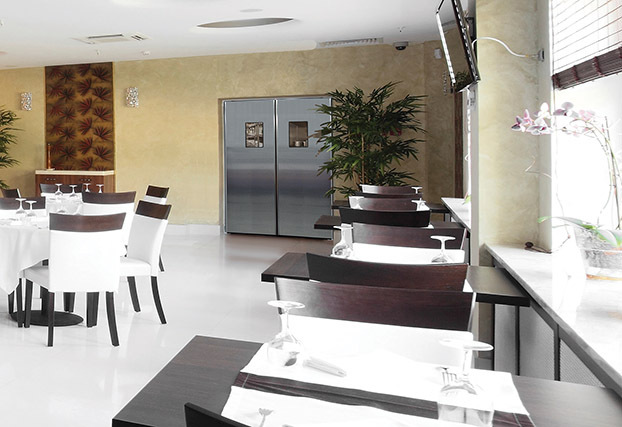 EHH-3 Stainless Steel Traffic Door in restaurant application – Hidden Hinge system. 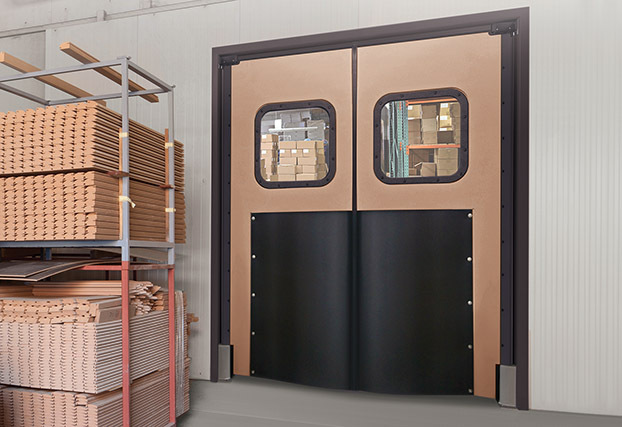 RMR-1500 Industrial Traffic Door – rotationally molded high-density cross-linked polyethylene. Eliason offers an environmentally friendly line of products, easy to recycle and reuse.